Corrosion is a new dataset for Total Materia users and gives vital information relating to the corrosion behaviour of materials in different media, relating to temperature and with a range of other condition variables. It is possible to find corrosion data in two main ways, either through a specifically selected material or by going directly to the DataPLUS module through the main menu. In this example, suppose that you want to find corrosion data related to the designation Alclad 3003 from the AA standard. 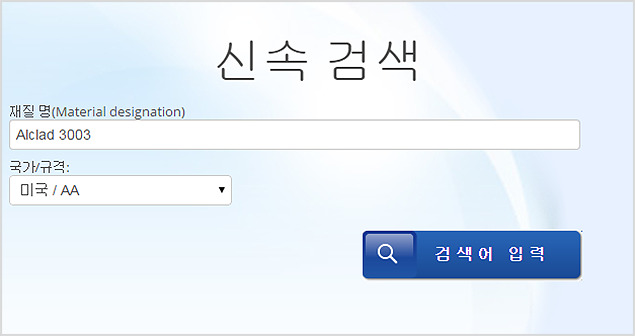 Enter the material designation in the quick search bar and select the AA standard from the Country/Standard drop down menu. 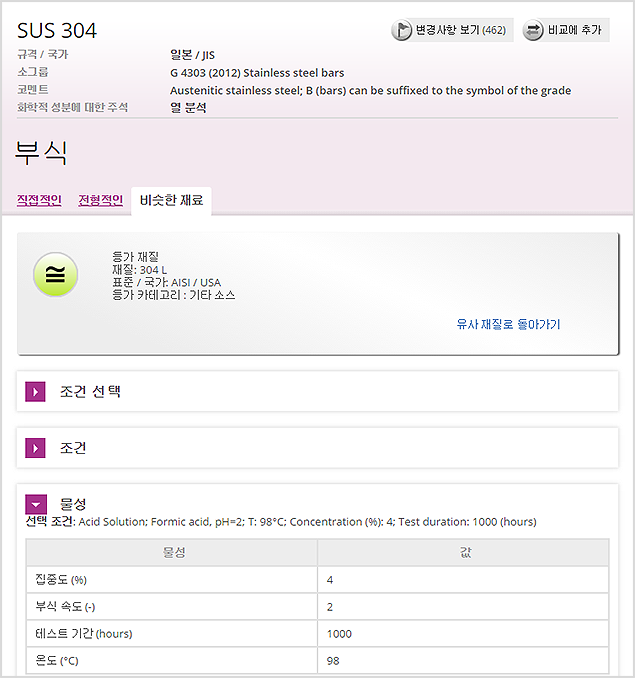 You can then click on the corrosion link in the Subgroup page and move directly to the available data in the DataPLUS module. Here it is possible to view all available direct corrosion properties for the material of choice including corrosion rate and corrosion type at a specific medium concentration and temperature. For a single material there may be many different available conditions and so it is possible to use the condition selector to find the data of most interest to you. Alternatively all available conditions can also be found in the scrollable list underneath the selector. If you cannot find the precise data you are looking for, you can also view typical data for the standard which is indicative data presented as a secondary option to direct data. 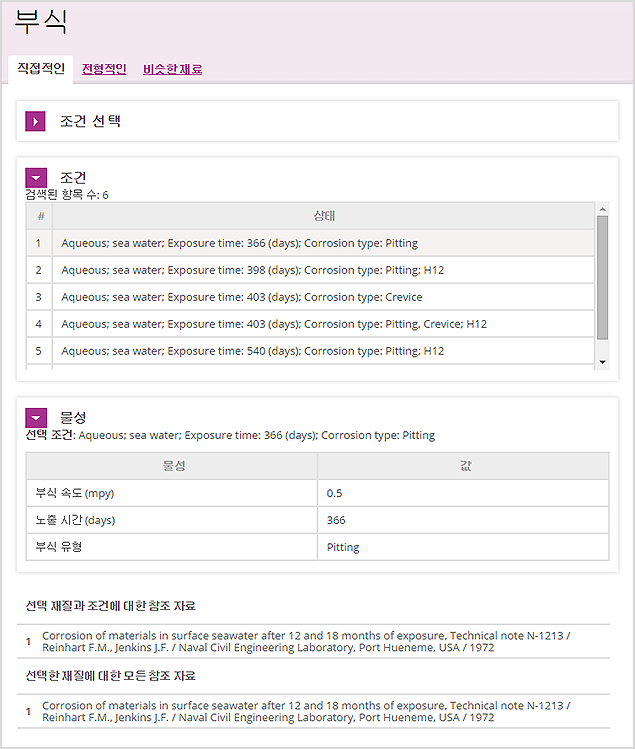 The third option is to use the power of the Total Materia cross reference tables through the similar materials tab to view connected materials which also have direct corrosion data which can be considered as part of the decision making process. 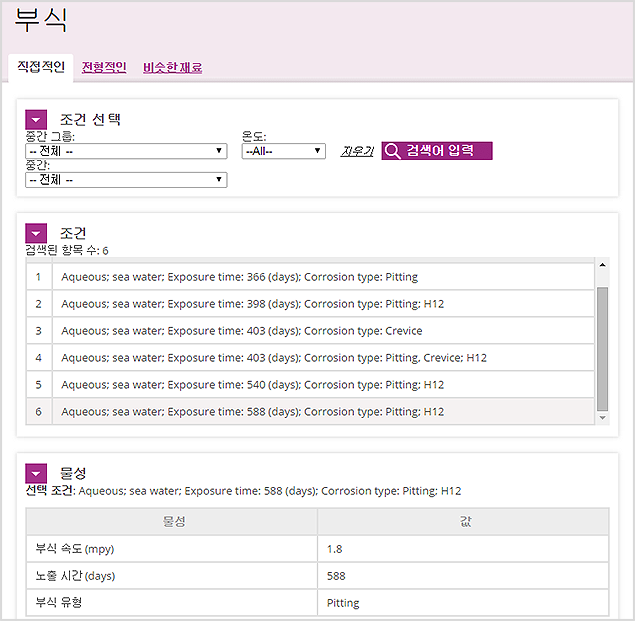 The second possibility to find corrosion data is to go directly to the DataPLUS module in the main menu and then click on the link corrosion in the submenu. Here it is possible to generate a list of materials using the provided search criteria and then to view data in the same way as previously described. Some of the available search options include corrosion temperature and corrosion medium.